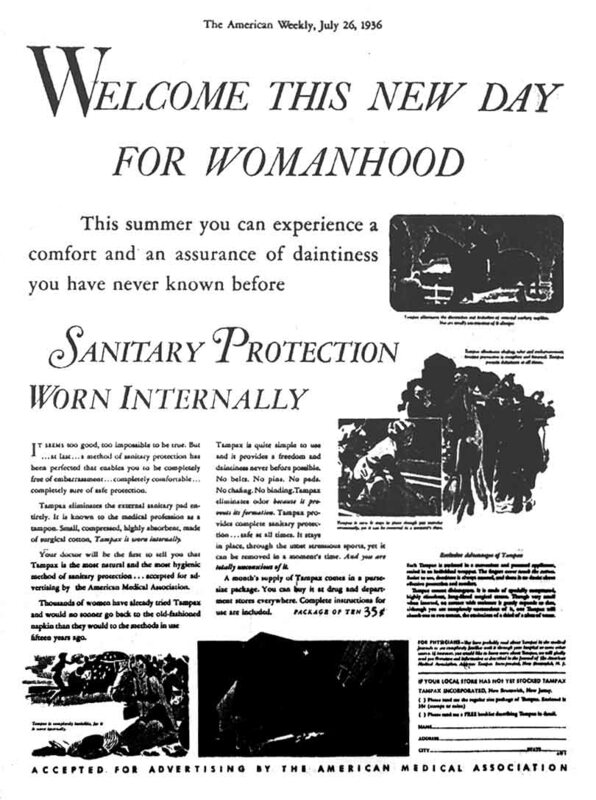 This is probably one of the first advertisements for the first commercial tampon with an applicator, Tampax, which women could buy in 1936 (and before, actually: the early 1930s). There were other commercial tampons before Tampax, but none had applicators. Compare a much bolder ad for Tampax made in 1992, in Britain. American advertising is today still pretty restrained. See the patent for this tampon, the box, and other early tampons. This picture is a copy of a copy and is not clear. I have made it very large to allow some words to be read.